Any day when a copy of a new book by Michael Neill arrives in the post is a good day and, frankly, an excuse to take the afternoon off, retire to somewhere comfy and immerse yourself in it. Michael’s a good writer, damn his eyes. His gift is to take something which has the potential to be complex and turn it into something accessible to his reader and to make that look easy, when it is anything but. In The Inside Out Revolution, Michael explores and expands upon the teachings of Sydney Banks and his Three Principles: Mind, Consciousness and Thought. Yup, I know, at first glance they might appear to be the same thing. Even though I had read a book by Sydney Banks and listened to about twenty hours of audio of Michael coaching these around these Three Principles, I confess I was floundering a bit. But by page 20 of this book I had a grip on the distinctions immediately such that I felt inspired to pop out of my comfy chair to email Michael to that effect. I love the way this book is laid out. It is precisely the right length, the contents divided into three chunks of three chapters each of about ten pages, no more or less than we need. This simple, easily readable format encourages snarfing the entire contents in one sitting which is actually quite a good idea and to be encouraged, especially if you park your brain for the duration and allow the magical contents to wash over you. A brain isn’t necessarily the best way of coming to know and live the Three Principles, in fact using your brain might even make them harder, if not to understand then certainly to integrate. But I did use my brain in my second reading today so that I could take notes of the special bits I wanted to remember and to share here. As Michael says, the Principles are deceptively simple, or deceptively complex depending on how you come at them. Do not let the simplicity put you off; that’s their beauty. There’s nothing to learn or study, just allow yourself to absorb and experiment. Michael’s strapline says: “The only thing you need to know to change your life forever” and that’s a big claim. It means there’s no need to go looking for the Next Big Thing. The Three Principles are a 40-year old thing but they are enough. If you have been looking for a way to return to navigating your world using your innate guidance system, look no further – here’s how. Human Beings tend to over-complicate. Here’s my tip – don’t. Stop it immediately, as I like to say to my clients. Stop thinking those thoughts which are making you miserable and stop living in the feeling of your thinking. Instead, tune into the space where miracles happen and grab this slim volume as your guide. Those of us who have studied any personal development at all have managed to drag ourselves up from helpless victim to somewhat empowered, at least some of the time. By the end of The Inside Out Revolution, you will be ready to embark on the next leg of your journey, from empowerment to enlightenment. You will be ready to follow your inner wisdom instead of outer goals and to return to original grace in any moment, simply by choosing a thought. Michael explains that our “inner spark is our essential nature and, as Syd Banks pointed out repeatedly, it’s never more than one thought away”. “Because we’ve been conditioned from birth to believe in the myth of an outside-in world, we assume the path back to well-being and joy and peace of mind must be through getting a better job or a better partner or working on becoming a better person. The irony is that the harder we work on changing ourselves in order to change the way we feel, the more distant we become from our true self, and the more important it seems to work on all those things, and the more lost we become. The book includes a foreword by George Pransky, an introduction by Michael, an epilogue and a resources section which lists where you can find out more about Syd Banks, who died in 2009, and his epiphany, his life’s work and his books, audios and DVDs. Some will want more, no doubt, but after reading Michael’s book where he’s done all that research for you, you don’t need more; it’s all here. 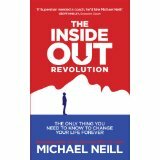 The Inside Out Revolution by Michael Neill is published by Hay House on 6th May 2013 at £10.99. How on earth are you going to wait to rediscover what you’ve always known, deep down? Possess your soul in patience. It’s worth it. Michael launched his book in the UK on Monday 8th April at Alternatives at St James’s Piccadilly. For those of us who were unable to attend, we can listen to the recording here for only £5. I hear you, Roman. I like EFT for releasing unhelpful emotions and that can be quick too, as can Michael’s approach. Something which is difficult about the concepts explained in Michael’s book is how easy it is, if we allow it to be so. We are the ones who make it all complex and you sound like you know that very much through your work, as do I. I enjoy Michael’s writing and the content of the book adds to my quantum of information that I use to help my clients. I think the content is deceptively easy, if that makes sense? People cannot necessarily believe it is as easy as choosing another more helpful thought. Let me know what you think when you’ve read it? Keep in touch, J. Yes, it does, Judith. Thanks. The reason I asked is some people who reviewed the book on Amazon.com didn’t find the book helpful. Another reason is that I know that some (!) people with whom I’ve worked trying to help them with their emotional issues knew that their thoughts were irrational, and they wanted to choose better thoughts, but the emotional charges didn’t let them stick with the new thoughts. It took working with their emotions and body feelings to eliminate or reduce the emotional charges for new thoughts (and emotions) to replace the old ones. And the changes become pretty much permanent and automatic not requiring continuing conscious thought selection. So, I wonder if Michael’s approach produces similar results or requires lots of continuous cognitive work as CBT often does (according to what I’ve read). 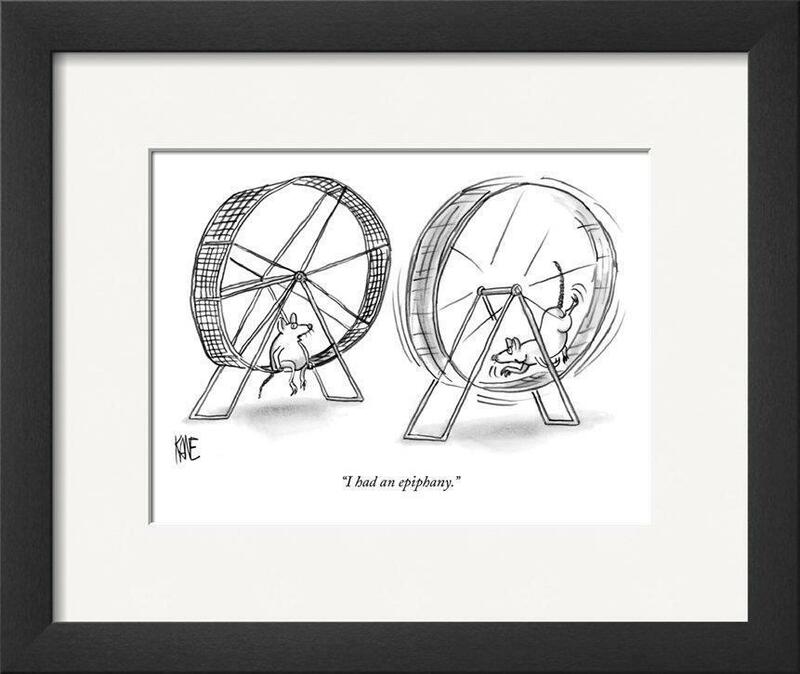 I think my personal favourite improvement, if you can call it that, is to be able to pick another thought in any given moment which improves my physiology, stops me worrying, makes me feel better. So I have better control over my thoughts when I know they are of my own making. My logical brain always knew I could do that, but Michael’s book serves as a reminder and I do find this an easy, effective strategy to feel better more of the time. Judith, would you please describe your personal improvement due to having read Michael’s book? I have enjoyed Michael’s previous books and have order this book for my Kindle.